Communication has always been the most important aspect of Pokémon. Battles and Trades with other players has been the overall crux of Pokémon and a large part of why it took off. 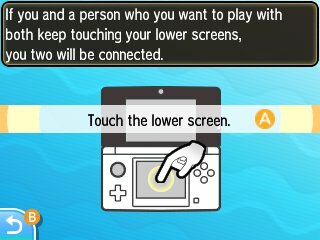 While Generation VI had the Player Search System to make things easier, Pokémon Sun & Moon have a little bit of a more convoluted setup. At any point, you can enter the Festival Plaza. While this does have uses outside of the communications, this is where all the communication aspects of the game take place. From here you can interact with friends, battle, trade and enter all the online facilities that we have become accustomed to throughout the years. When in the Festival Plaza, either locally or online, many other people playing Pokémon Sun & Moon will appear in the plaza. 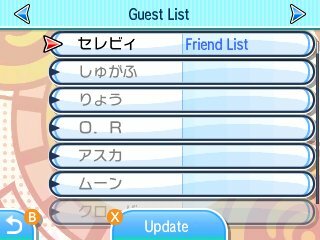 These players will appear in your Guest List, with Friends being more prominent, showing at the top. However, you do have the ability to add people to a special VIP list. You can also block players if they have been harassing you. To interact with the players, you need to press the Battle or Trade button and select what you want to do. When you have done that, it will bring a list of all eligible players up for you to select who to encounter. This is the only way to communicate with players, as you cannot do it directly from the Guest List. When you look at other players, you can retrieve a lot of information about their gameplay, such as how many Pokémon they have fought, BP earned, eggs hatched and so forth. All players in your list are then ranked based on their values. These players you encounter can be utilised in the Festival Plaza to receive items, Festival Coins and to even play Missions if they are still in their Festival Plaza as well. Multi Battle - A 2 VS 2 Battle with 4 players. All players need to agree. Free Battle - Random battling with players online with no restrictions. 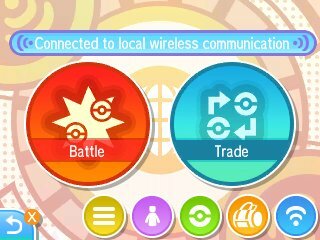 You can select to battle with or without Special Pokémon. 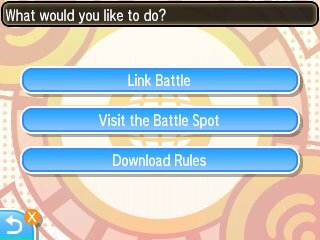 You can now select one of up to 6 Battle Teams you have registered in your box during these battles. You can also, as of January 2017, scan a QR Code to use a team someone else created to go through some of the modes. Wonder Trade - An instant random trade feature where you don't know what you're getting. Do note it has a 90 second wait time to get a trade before it gives up. Do note that if you are disconnected from a trade in the middle of it due to communication errors, you will be unable to trade for 24 hours.